SuperStalls Can Help You Go Green Too! 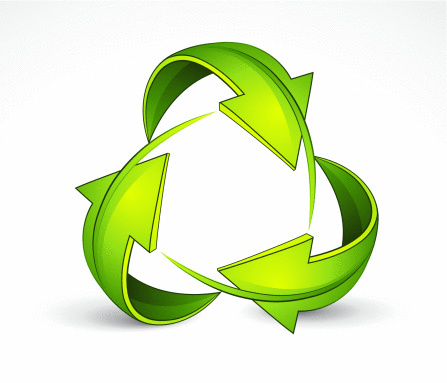 Last week I focused my weekly blog on how our footing can help your barn to “Go Green”. This week we’re going to continue the discussion and focus on our SuperStall Mattress Systems. Our SuperStall Mattress system is a wall to wall mattress consisting of foam and a topcover. The topcover attaches to the wall and seals off the foam mattress, creating a barrier so that no liquids can get to the foam. Our durable topcover keeps liquids on top and your horses happy. Since our SuperStall has the perfect amount of cushion, you don’t need to add three inches of bedding to give your horses more cushion, instead you only bed your stall at the most, one inch. When using less than an inch of bedding, you will be saving up to 60% in bedding. This not only saves in time and money, but in the environment too! In our last post I spoke of composting your manure. By composting your manure, you will be able to recycle the manure and use it on your gardens or to fertilize pastures in the spring. When you fertilize your pastures with compost, you are improving aeration and also water retention by creating healthy soil in your pastures. Composting your manure not only reduces your waste and improves soil quality, but reduces flies in your barn and can kill parasites and pathogens. In addition to composting your manure, think about ordering your bedding in bulk. You should get a discount for ordering a larger amount and you’re also cutting down the amount of gas used to pick up or deliver. If you don’t think that you will use an entire load of bedding for your barn, perhaps think of a neighbor that would be willing to split the load with you. These are just a few options to make your barn more environmentally friendly. What do you do to keep your barn environmentally friendly? Running a barn is a lot of work. Whether you have a lot of help or not. 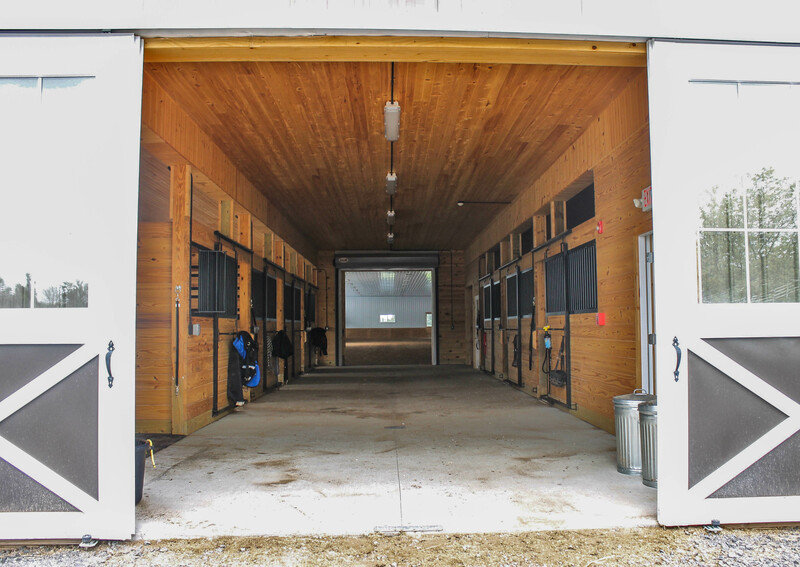 It can be easier with different tips and tricks that you can use around your barn. I’ve pulled together a nice list of a few “barn hacks” to make your life at the barn easier! In the summer, freeze gallon jugs of water and throw them in your outdoor water buckets to keep the water cool for your horses. Put your feed and hay in a central location in your barn so that you’re not running to one end of the barn every time you have to feed someone. Mount a bucket horizontal with the opening facing out where your hose is, you can wrap the hose around the bucket for organizing your hose, and the bucket serves as a perfect spot to store your nozzles, brushes and soaps for giving your horse a bath! If your horse likes to drag his bedding out into the isle, install broom bristles at the opening of his stall, it will keep the bedding in. The most annoying noise to me is when you drop a cross tie and it clinks against the wall, I’ve even had horses scare from this noise. To help this issue cut a tennis ball on both ends to slip the cross tie through, it won’t make any loud noises when you drop it! Install a PVC pipe near an indoor or outdoor arena to hold your various whips. If it’s outside just make sure to drill a hole in the bottom so that water can get out. Colored duct tape is a great way to distinguish everyone’s supplies, just tape the handles of grooming supplies. Everyone gets their own color or their own pattern. Use shoe organizers in your tack room to store all of your polo wraps and boots either in the barn or in your trailer. Grab a larger clothes hanging organizer to store helmets! A pool skimmer comes in handy when trying to clean out your horses water bucket, quickly use it to grab debris that’s in both your outdoor water buckets and stall buckets! During the winter time, hang your bridle around your neck, inside your jacket to warm it up for your horse, they’ll greatly appreciate a warm bridle and bit! I would love to hear any other “barn hacks” that you may have in the comments below! I’ve had a few questions lately on how our foam does over time. So I thought this would be the perfect topic for this week’s blog. My favorite thing about my job is catching up with old customers of ours. It’s usually a call or sometimes they’ll return an email describing how much their horse loves SuperStall, and most of the time I’ll hear that they’ve had them in for several years. In 2008 we decided that we would take what we knew about cow comfort from selling mattresses to dairy farms through North Brook Farms, to IGK Equestrian and create a horse stall mattress system with the same quality foam and a topcover. The foam we choose, called an open cell foam, was specifically made to accommodate horses and their size. Horses are usually lighter animals (other than all those draft horses out there!) 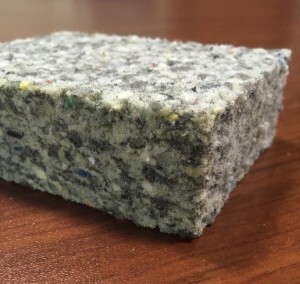 compared to cows and have a wider hoof; because of these differences, the foam needs to be optimized to a horse’s weight and stature and so we’ve created a foam to specifically suit a horse’s needs. Despite being incredibly soft and light, don’t let this foam fool you – it’s very tough. Since 2003, we’ve installed tens of thousands of pieces under both cows and horses and our oldest pieces of foam under both types animals are still going strong! Our customers do not see compaction or break down and the animals continue to get a soft, supportive bed to relax and recuperate on. Over the last 12 years, topcover has been pulled back to reveal foam looking like it was just put in. We’ve tested the foam to have less than 1% compaction over a decade of keeping animals comfortable, and our customers are truly amazed at how the foam never changes and consistently offers their horses a supportive surface for their legs and hooves in their box stalls. One word of caution when using these mattresses: be ready to hear the snores of a horse that you never thought would lay down. Loud snores have scared the dickens out of more than a few owners and hands coming in for AM chores. I’d love to hear any other questions that you may have about our SuperStall System! Please feel free to contact me at info@igkequestrian.com!